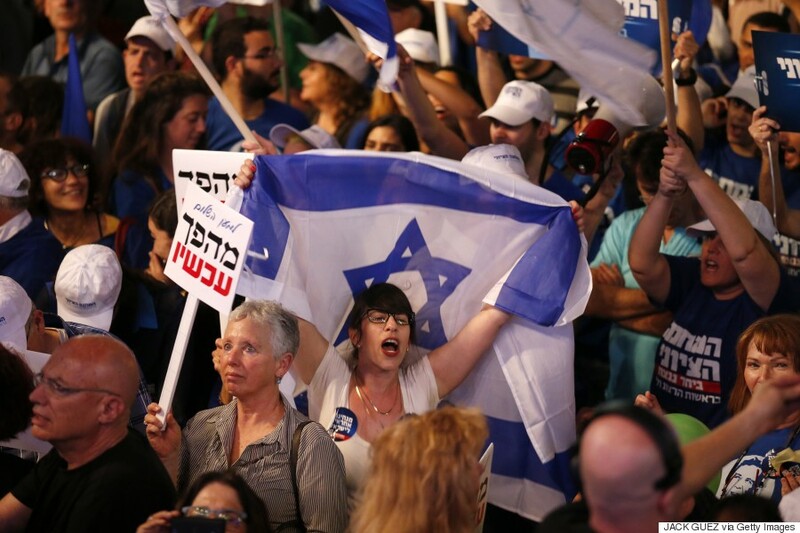 Tens of thousands of Israelis are gathering at a Tel Aviv square under the banner “Israel wants change” and calling for Prime Minister Benjamin Netanyahu to be replaced in March 17 national elections. Saturday night’s rally at Rabin Square is the highest profile demonstration yet in the run-up to the election. It is organized by a non-profit organization seeking to change Israel’s priorities and refocus on health, education, housing and the country’s cost of living. Though not officially endorsed by any political party, it drew mostly supporters of leftist and centrist parties. Read more at The World Post – Huffington Post. Bibi has not only alienated his own citizens, his hubris has cost him dearly on the world stage. He is a deranged war monger and belongs in a padded room.